There are many reasons why our clients will use social media. Sometimes it is simply to engage customers. On other occasions the intention will be to generate leads, make a sale or build awareness of their brand. 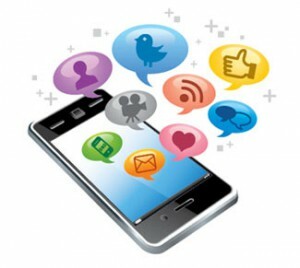 Social media marketing can also be used as a means of enhancing search engine optimisation. If the client has a new product available then they may use social media marketing to publicise that or an events venue may use it to promote a music concert or an open day. There really is no limit to the potential of social media marketing. Our most important consideration when working with the client on social media marketing is to make sure that it is cost-effective particularly. This is because it can be such a large area of promotion with endless possibilities and thereby absorb a lot of time. Hence we work with the client to develop a sensible, practical and indeed sustainable social media strategy. Almost as important is to make sure that all your social media content is thoroughly optimised for search engines because if it isn’t then resources could easily be wasted. Dark Sea Web Design has extensive experience in the integration of search engine optimisation within social media.